Was originally an Hospital for Lepers, founded before 1190 and dedicated to St James' the less. 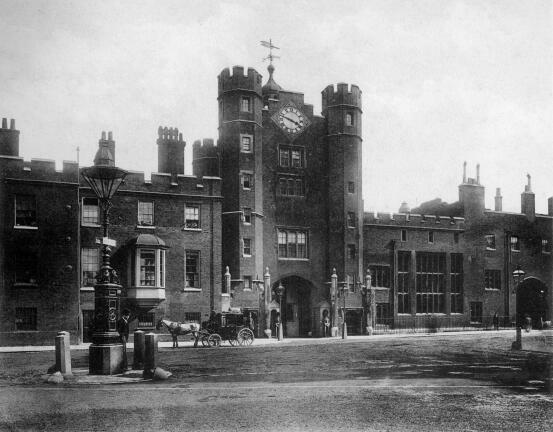 In 1532, the building came into the possession of Henry VIII, who erected in its place, a Royal Palace, said to have been designed by Holbein. Here Queen Mary died in 1558. Charles I slept here the night before his execution.